Walk into any Japanese trading room and you will see that the most common charts being used are Ichimoku Kinko Clouds. Thus, this book presents the definitive explanation of cloud charts for the first time to a global audience. 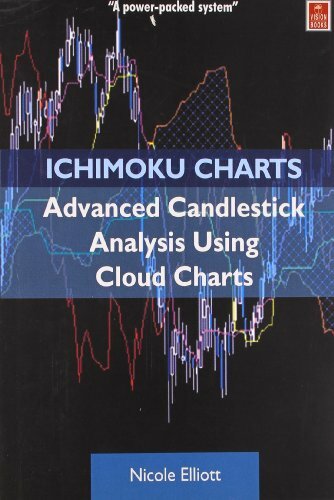 This book presents, for the first time ever in English, the next stage of candlestick analysis - Ichimoku Kinko Hyo. Also called Cloud charts, this analysis adds moving averages to candlestick charts, but moving averages which are different from those traditionally used. For trending markets, Cloud charts add an essential tool for analyzing near-term areas of support and resistance in particular. The book explains in detail how to construct Cloud charts and how to interpret them. It deals with advanced analysis of Cloud charts. It also offers an in-depth study of the Three Principles; Wave Principle, Price Target and Time span Principle. The book is packed with numerous examples of Cloud chart analysis, accompanied by dozens of charts in color.